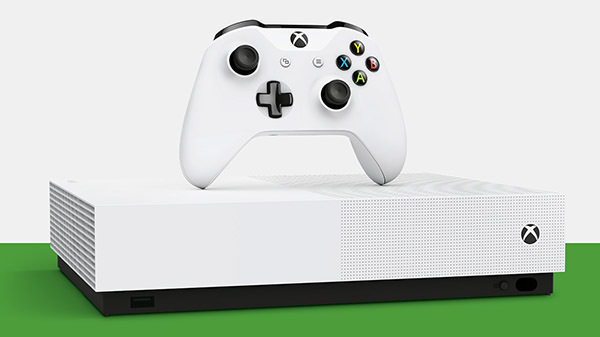 Microsoft officially announced today that a digital-only console is indeed coming as Xbox One S All-Digital Edition will be released on May 7. The Xbox One S will include a 1TB hard drive, and downloads for Minecraft, Forza Horizon 3, and Sea of Thieves. The console will retail at $249.99 at the Microsoft Store, Walmart, Best Buy, Amazon, and other select retailers worldwide.